When I accepted this book for review, I wasn't sure how it would turn out. I thought it could be really bad or it would be fun and entertaining, though perhaps a bit cheesy (in the Back to the Future kind of way, not in a bad way). I like stories that have the character time travel to past times, but it is hard to find ones that are well done. I was pulling out books for my niece and I came across Time at the Top which has a young girl traveling back to the early 1900s, I think. I read it as a child. I remember having trouble getting into the story, but then really enjoying it. Apparently, time traveling stories have always piqued my interest. 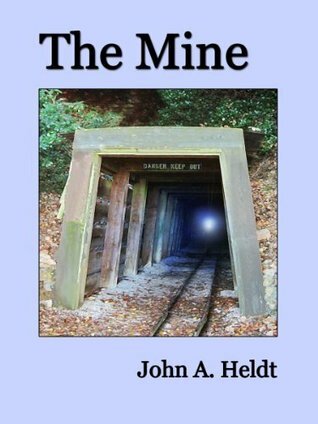 The Mine is part of my ebook backlog that I vowed to make a dent in this summer. And I have to say it was a pretty good book to end the summer with. The beginning was rocky for me (maybe that is a trend for time traveling stories? ), but at about the 20% mark it was like a switch was thrown and it was a great story that I didn't want to put down. I constantly wanted to know what was going on with Joel and Tom, Ginny and the girls. There are a few references to Back to the Future and Marty McFly, but it was not a remake of the movies. It was its own story. Whereas Marty had Doc to aid him in traversing the time traveling pit falls, Joel is on his own. And probably a bit more like what it would be like if you or I was suddenly transported through time. Thankfully, he is a history buff and has a good memory of dates and sports history. Also unlike in Back to the Future, we don't really get to see any impact of Joel being transported to 1940 in the future. Partly, I think it is because we don't know much about the present day lives of the characters. I was also left with a few other questions at the end, but I can't share them lest I spoil the ending for you. I wholly expect you to pick up a copy of The Mine. I give it high marks for pure entertainment.